The ultimate in positive thinking! "Other than the high-speed crash, SpaceIL's attempt was actually pretty successful." The Beresheet spacecraft from Israel's SpaceIL was facing long odds to land on the Moon, being the first ever privately launched probe to attempt it. Alas, its engine cut out during the landing attempt, communication was lost, and Beresheet crashed into the surface. Fortunately, just before that happened, the spacecraft turned its camera toward the Moon's horizon and managed to snap a final, sublime photo of its cratered surface. SpaceIL was one of the finalists for Google's Lunar Xprize, which ended without a winner. Had the probe landed, it would have carried several scientific experiences. That includes measuring the local magnetic field using a magnetometer and carrying a NASA-made laser retroreflector array to measure the precise distance between the Earth and the Moon. It also brought a time capsule containing a copy of the English-language Wikipedia, the Wearable Rosetta Disk, the Torah, children's drawings, memoirs of a Holocaust survivor and more. A SpaceX Falcon 9 rocket launched Beresheet into a high Earth orbit on February 22nd. It spent the next couple of months leisurely making its way toward the Moon's orbit, and was supposed to land on the northern hemisphere. The technique, while unusual, was designed to save fuel -- once the probe landed, it would have had power for only a couple of days at most. Unfortunately, during the approach, the engine stopped. Mission control managed to bring it back online after performing a system reset, but the probe had already lost too much altitude to shed the excessive speed. When it contacted the surface, it was traveling at about 300MPH vertically, according to the final telemetry values. Minutes before that happened, it snapped the a selfie with the rapidly approaching Moon in the background. Shortly after that, it snapped the much closer photo at top. Other than the high-speed crash, SpaceIL's attempt was actually pretty successful. It's only the fourth nation to put a spacecraft on the Moon -- even in pieces -- after the US, former Soviet Union and China. It managed to do that with a mission cost of just $100 million, a tiny percentage of any previous effort. The company said that it's encouraged by the first effort and plans to build another Beresheet lander to "complete the mission." 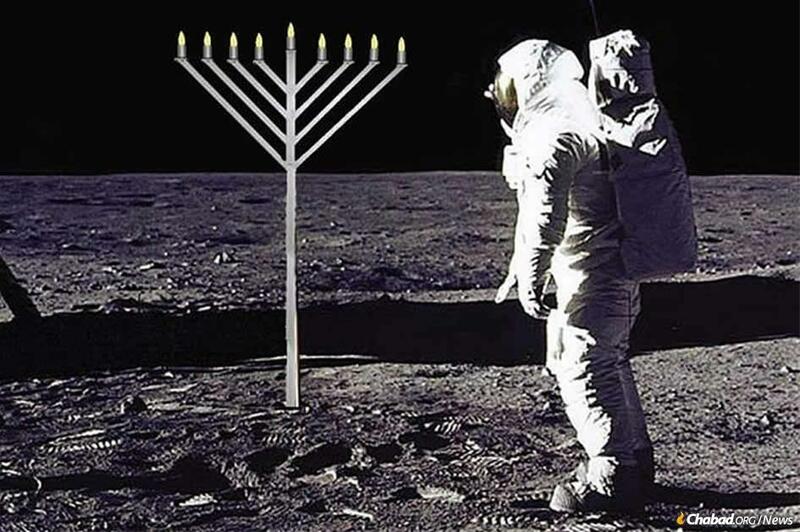 But I thought God gave the moon to the Jews. The US gives Israel 38 billion tax payer dollars and this is what they do with it. Such a waste! That money could of bought a lot of luxury cars and mansions in Cambodia. Paulo wrote: The US gives Israel 38 billion tax payer dollars and this is what they do with it. Such a waste! That money could of bought a lot of luxury cars and mansions in Cambodia. Privately funded space project. No taxpayers dollars used. Besides the tax payers dollars are used to paint a big Bull’s eye on Israel, thus the majority of suicide bombers and mass killers go there, not here. An arrangement long ago requested by Israel. Let the Israelis do the dying, not the Americans is what they wanted. At first it seemed such a large sum, but that's very nice of God's Chosen People to take the heat for the red, white and blue for only a couple of hundred bucks per tax payer. Jews in Space - The Movie, directed by Mel Brooks, coming soon. Jerusalem (CNN)Ori and Mika Banki did what no parent should ever face. Direct flights to Israel from Cambodia coming ! Direct flights to Israel coming ! Bad landing at Siem Reap airport this morning. BA plane makes emergency landing due to 'nasty' cannabis smell.